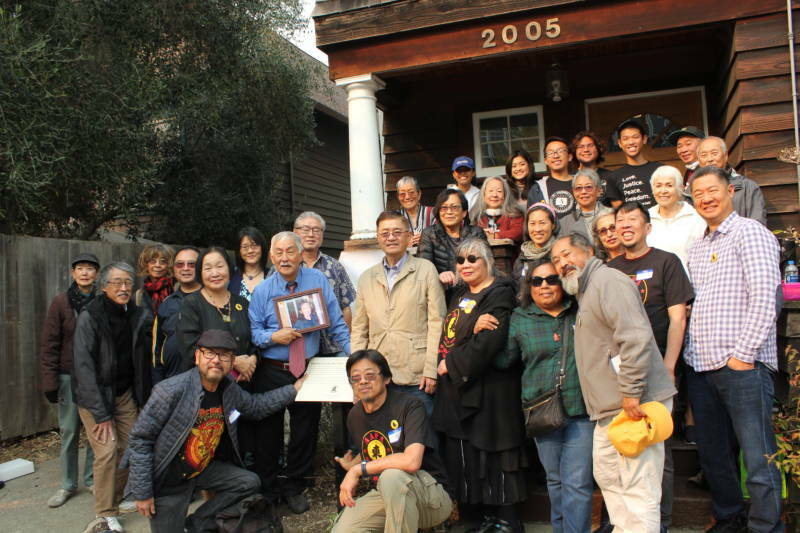 In 1968, six young Americans of Asian heritage gathered at a house on Berkeley's Hearst Avenue to discuss how to create a place for themselves in the activism of the day. It was one of the most politically tumultuous years the United States had seen. The Tet Offensive by the North Vietnamese was eroding public support for the Vietnam War; Martin Luther King, Jr. and Robert Kennedy had been assassinated; and San Jose athletes Tommie Smith and John Carlos raised their fists in protest on an Olympic podium. Vicci Wong of Salinas was a 17-year-old first-year student at UC Berkeley in 1968, and she was searching for a place to contribute to what she saw as "the struggle." "The peace movement was led by whites," Wong said, "and then I tried to join the Black Panther Party in Oakland, and they told me you can't because you're not black. So they said you should form your own group, and I thought, 'Well, what is my group?' "
Wong found the answer at the meeting held at the home of two PhD students, Emma Gee and Japanese internment survivor, Yuji Ichioka. They'd found her and the others by searching for Asian last names in the rosters of other political groups. "When I came to the steps here and knocked on that door, my life, and like everyone here else said, their lives all changed," said Wong on Saturday at 2005 Hearst Avenue, celebrating the 50th anniversary of that momentous meeting. During that first session, the group coined the concept and the term, Asian-American, and officially founded the Asian American Political Alliance. Wong says they immediately looked around at each other and knew they had created something special and that they were representing more than just themselves. "I went in Oriental and left Asian-American," Wong said. 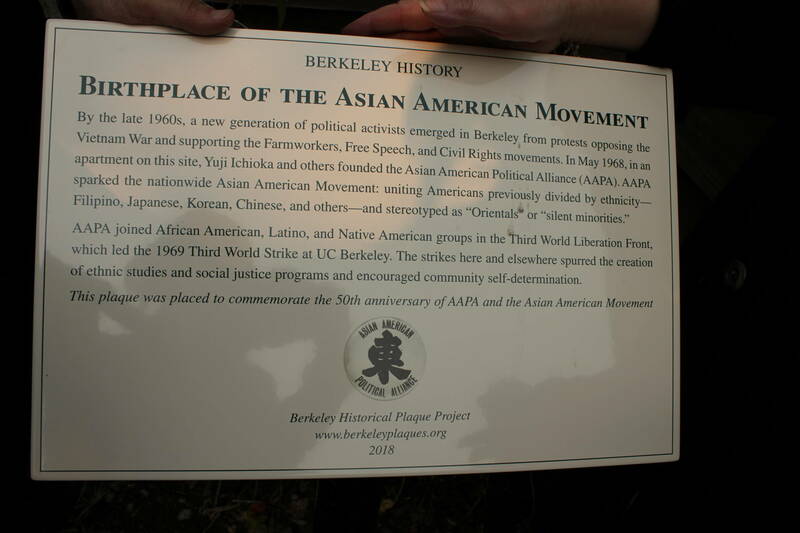 AAPA established main chapters at UC Berkeley and San Francisco State, and the group helped lead unprecedentedly long student strikes at both schools, which resulted in the first Ethnic Studies departments in history. "We wanted to save not only our communities, but establish control over our communities," Wong said. That meant pushing back against the notion that they were perpetual foreigners and fighting things like the gentrification of San Francisco's Manilatown. AAPA co-founders said Saturday that their successors in AAPA and the people influenced by its activism have continued to fight for justice for their communities and others. "We're seeing it circle back against Muslims now," said former Oakland Mayor Jean Quan, who helped found the Asian American studies program at UC Berkeley along with her husband and AAPA co-founder Floyd Huen. "[Asian-Americans] are still not seen as full Americans." For all of its influence, AAPA has ebbed and flowed at Berkeley, going inactive twice, including up until this year. But a new group of Berkeley students is coordinating the third incarnation of AAPA at Berkeley, calling it "AAPA 3.0." "I think what AAPA means to me is learning from leaders who were really persistent and courageous to fight against injustice and to establish our roles as Asians in American history," said Johnny Nguyen, a first-year UC Berkeley student who's helping lead the effort. "Having taken my first ever Asian-American studies class this semester, it's surreal to hear about my place in history in the textbooks. I'd like to see Asian-American studies expanded and enhance it. That's exactly what we want to do with AAPA 3.0."